Most marketers put years of work into learning the trade. That’s because there’s a lot to learn. But, the basics of email marketing are remarkably simple. Today I’m going to run you through some of the most important things I’ve learned about developing an email marketing strategy that engages your audience and generates sales using email sequences. I suggest you bookmark this guide. You’ll want to refer to these email sequences in the last section on a regular basis. An email drip campaign sometimes called an autoresponder cycle is a sequence of emails that are sent to a person over a period of days. These email sequences are automated ‘set and forget’ campaigns. Common examples of automated email drip campaigns include the welcome email sequence and the cart abandonment sequence. Here are over 30 other ways you can use email automation. An email drip campaign can be as complex or as simple as you want to make it. A classic email welcome campaign, for example, would have three emails. These emails are sent one after the other on consecutive days. It would look a bit like this. Email drip campaigns can be a lot more complicated. They often include action-based tracking – so you send people different messages depending on what they do. For example, someone who doesn’t open an email might be sent a different series of messages to a person who did. Below is a template example of an email campaign for a webinar on GetResponse. You can see there are a lot more stages to this sequence. Marketers use email drip campaigns because multiple messages are more effective at generating a result than sending a single email. A good example of this is a cart abandonment email. A study found that people who send three cart abandonment emails generate 69% more orders than those who don’t. It’s not just the frequency of the messages that gets such results, though. A good email drip campaign is effective because the person creating the campaign thought through all of the reasons why a person should click on a link. They then dealt with those issues one at a time through the campaign. Continuing with the cart abandonment example, below is a small brain map that covers the different reasons someone might not make a purchase. The idea is to identify the most important issues in this list, and then deal with them in your campaign. The more pain points you deal with, the more people you’ll engage. The copy you use in these messages needs to be focused on one topic. Also, don’t make the mistake of thinking the more emails you send, the better the result. 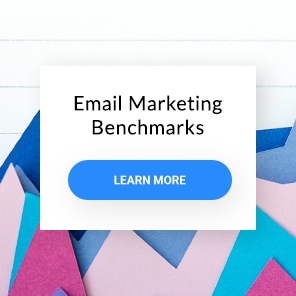 People don’t want to be spammed as the email marketing benchmarks from GetResponse highlights. You need to find a balance between the number of emails you send, the value of those emails, and the outcome you want. The number one mistake people managing an email list make is sending pointless emails. 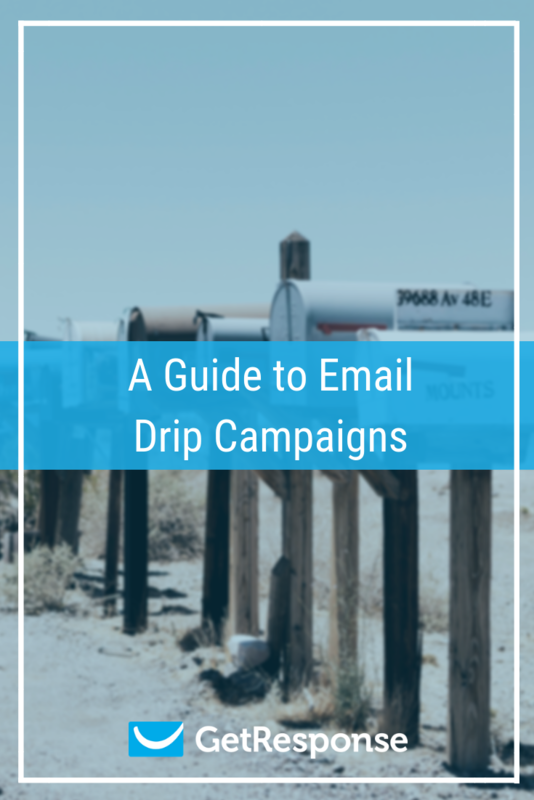 I’ve covered some of the basics behind what makes a good email drip campaign. Now I’d like to get practical by breaking down common email sequences you can use for your business. Let’s take a look at each of these sequences in turn. I’ll cover how you should use each sequence, and what makes them effective. The first email most of your audience will receive is your welcome email. As I mentioned earlier, I recommend sending three emails over a couple of days. This email welcome sequence aims to introduce your website’s visitors to your company. Your emails will cover the who, what, where, when, and how of your company history. Below is an overview of the email sequence that I use for my wife’s travel company. Introduce yourself, and/or the company that you are representing. Share something interesting or unexpected about yourself / your company. Set expectations about what you will be delivering. Get them to follow you on a social media channel or whitelist your email address. Deliver the content upgrade that you promised them. A day after this you can send a second email. Your second email might contain a link to your best blog post, a video, or something else that they’d find useful. It’d be best if this content was exclusive or ‘hard to find’ on your site. On the third or fourth day send your final message. This email will generally provide them with a bit of content they’d find useful on your site. It could even be a freebie. Try to make sure that each time you send them is an email you provide a link to a different resource. So, for example, the first message might have a link to a PDF. The second email could have a link to your website, and the third a link to a video. Sending your audience to different places helps to create a sense of the unexpected. People get bored receiving the same thing week in week out. 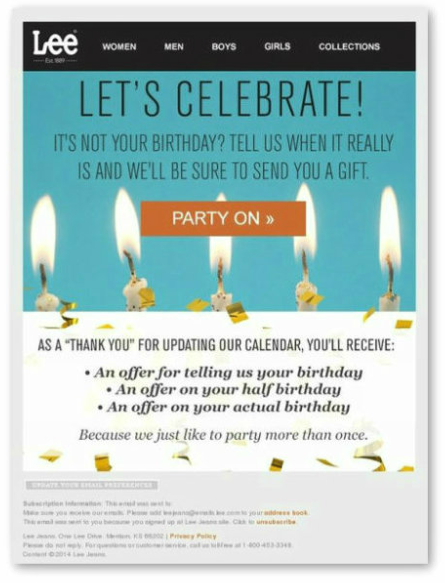 The birthday email drip campaign is a great way to connect with your audience and generate some extra revenue. Plus, you get to send people birthday wishes, which is a nice thing. To run a birthday campaign, you’ll have to collect a person’s date of birth. You can do this on your opt-in form. However, this will be a point of friction for people signing up to your list. If you take this route, I recommend that you don’t make collecting this information obligatory. People who don’t want to give you their date of birth will just input fake details. The other way to collect a person’s date of birth is when they are already on your list. You can see that the jeans company Lee uses this approach, though their copy could be improved. The advantage of this approach is you have already formed a relationship with your readers by the time you ask for this information. More importantly, people have to opt-in to the process. This means the data is more likely to be accurate. 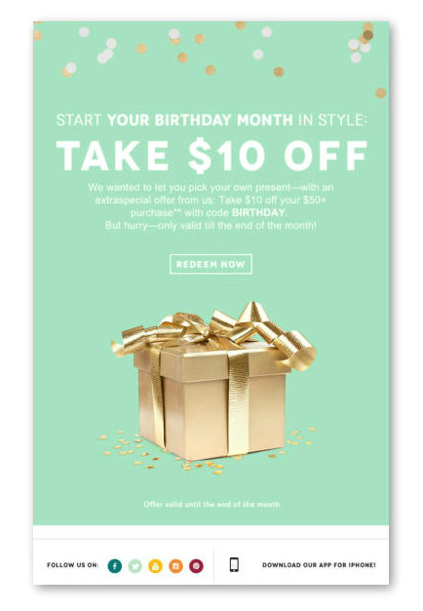 A birthday email campaign is short and sweet. Send the first email on the person’s birthday around noon. This message can be a best wishes card, with a discount coupon. At the same time the next day you can send a follow-up email informing the person you’ll be closing the discount offer in seven hours. This is a good way of taking into account that many people have better things to do on their birthday than shopping online. It also creates a bit of FOMO (Fear of Missing Out). Think about the last time you made a big purchase. What made you get your credit card out? Was it a logical decision, or a spur of the moment impulse? Maybe it was a bit of both. The copy you use for your email drip campaign needs to account for these different factors. Just like I outlined before, you need to analyze the different reasons people might purchase the product you are offering. These will be rational and emotional reasons. Once you’ve decided what the most important factors are, you need to deal with them one at a time. What I’ll share with you below is the email marketing sequence I use for promotions. It’s based around common drivers for making a purchase. I call this email marketing sequence Winners Miss Out. Below is an example of such a campaign. You can see that each of the three emails in that sequence build on each other by focusing on different factors that might influence your audience into purchasing a product. To increase sales, you can combine your email promotion with Facebook retargeting. Obviously, you can’t run a promotion using this exact sequence each time. You’ll want to mix things up. Test things like running a giveaway a few hours before a promotion to get your offer started. Alternatively, you might choose to run a competition and run the promo after you’ve given away a prize. There are plenty of great online platforms you can use to do this. A natural outcome of an email promotion is an upsell. Buying things makes you feel good. There’s a release of endorphins in there somewhere. The other thing about buying something is that you often realize there are other things you ‘need’ to buy. Sports are a good example of this. If you buy a new surfboard, you might think you need to buy some wax for your board. This desire to purchase additional products is part of a buying cycle. During this cycle, you are more open to the idea of purchasing additional products. It’s the reason you see people who have gone shopping carrying three or four bags of stuff. You should be incorporating this need for additional products into your sales cycle. There are two ways that you can manage an upsell. One way to provide an upsell is on-site at the point of purchase. You can either provide an upsell before or immediately after they’ve made a purchase. The other way to run an upsell is through an email sequence. You should run your upsell sequence within a maximum of a fortnight of a person purchasing a product on your site. The email sequence you use for an upsell would be similar to the one you’d use for a promotion. However, it’s important to recognize that the person you are emailing has recently purchased something from you. You can see where this email is heading. The email sequence you use doesn’t need to be as long as the initial promotion. I suggest sending two emails – one email to let them know there are deals available, and the second to say the offer is coming to a close. A good example of a person who does this effectively is Bertrand, the founder of Youzign. He has a number of complementary graphics design software platforms. This creates opportunities for upselling customers in the same way that an ecommerce store might do. It’s possible to get really high conversion rates with the right offer. Some of our best upsells converted 60% of customers. Without an upsell, this would all be lost, which is substantial revenue for any business. Of course, you don’t want to overdo it and negatively impact the customer experience. They should always be at the heart of your sales process. Don’t let profit define your strategy. As he mentioned, it’s important to get that balance between the customer experience, and the sales process. The shopping cart is widely recognized as a major leak in your sales funnel. Around 75% of customers abandon an online purchase. Cart abandonment emails help turn some of those lost leads into buyers. Below is a basic outline of a good cart abandonment series used by Jack Paxton. He is one of the founders of Vyper, a growth hacking platform, and works as a consultant for companies like AppSumo, and BPN Nutrition. This is a friendly reminder using scarcity, mention that you have limited stock, or this item sells out regularly. Run a time-sensitive special offer for the customer that lasts for 48 hours. This can be free shipping. Last chance offer. This email has the greatest discount. It can be a dollar or percentage discount. You can make this a unique expiring offer to add scarcity. Here’s what this sequence looks like in practice. Usually, the first email in the sequence will help recover about 25% of lost sales who signed up to the cart abandonment sequence. The second and third emails will help you generate additional sales. You can increase revenue returns by running abandoned cart ads on networks like Facebook, Instagram & Google. Email sequences and drip campaigns should form a core part of your online marketing strategy. In this article, I’ve shown you some of the most common campaigns used by marketers. 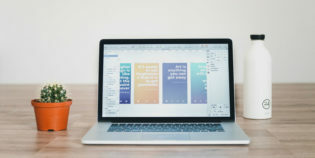 If you’re struggling to monetize your list or engage your readers, then hopefully these campaigns will form a framework that you can reference in the future. With a few edits, you should be able to incorporate these campaigns into your email marketing strategy. Of course, it’s going to take a few days to do this, so make sure to bookmark this page as you’ll want to refer to it later. If you have questions about anything I’ve covered in the article, let me know in the comments below! Nico Prins is an online marketer with a passion for travel. Every week he searches for lifetime deals from sites like AppSumo and StackSocial along with independent developers and posts them on Launch Space. If you’re interested in great deals, here’s a list of the 30+ lifetime deals for your business.